Jos based community radio station; Jay FM 101.9 is in court over the closure of its station by the National Broadcasting Commission (NBC) in March. The broadcast regulator had accused the station of airing inciting programmes during the presidential and National Assembly elections – an offence against the broadcast code and ethics. 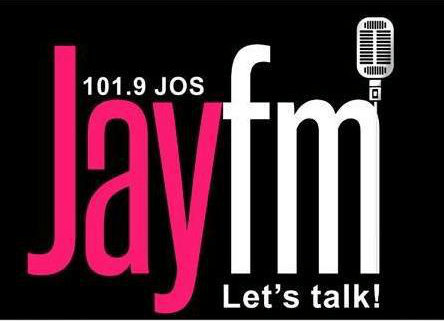 But Jay FM 101.9 has accused the regulator of high-handedness with a legal suit at a Federal High Court in Jos. In its originating summons as JODAJ Global Communications against the NBC and Dr. Igomu Onoja, zonal director for Plateau, Benue and Bauchi, the station is seeking an order of mandatory injunction to compel the respondents to immediately re-open the station and for the court to direct the NBC to pay Jay FM the sum of N500 million as general and exemplary damages. Also, the station is seeking an order of perpetual injunction restraining the respondents or their agents from shutting down the operations of the station or interfering or trespassing into the premises of the station in Jos as well as an order setting aside the levy imposed by the respondents on the station. The Jos FM station, allegedly owned by close associates of Jonah David Jang, former governor of Plateau state and a PDP stalwart, was one of the 45 stations penalized by the regulator in March for various infractions as they concern the 2019 general elections. All were fine N500, 000 each for violating the Nigerian Broadcasting Code. But Managing Director of Jay FM, Clinton Garuba has accused the NBC of acting in bad faith. He said the management of Jay FM had been invited for a meeting at the NBC headquarters in Abuja on 18th March where the commission made a commitment to reopen the station between 18th and 23rd March.